As we continue on our journey to build and strengthen our character, one foundational principle is the importance of accepting responsibility for our own thoughts, decisions, and actions as a core component to character building. Accepting responsibility is the first step in rising above our situation and escaping the trap of blaming others or our surroundings for the choices we make. Accepting personal responsibility is important. It does not mean we always make great choices. The reality is that we will fall short in some of the decisions we make and actions we take. No one is perfect and we all make mistakes. Our character is strengthened when we fully accept the effective and the ineffective choices we make and the positive and negative outcomes that they may bring about. Students make the decision to learn in the classroom, but a great teacher can raise the level of engagement and interest to make the classroom a more conducive environment to learn. A great coach can inspire teamwork and commitment, but ultimately it is the decision of individual players to work together as a team. A strong leader in the workplace can build energy, excitement, and efficient systems to keep the team heading in the right direction to accomplish goals, but it is the decisions of individual team members day to day that sustains top performance in the marketplace. The examples we all set in the home have influence on those closest to us. What happens when those in our circle of influence stumble and fall through poor choices and bring about a difficult outcome? One truth we should not back away from is that they must own it and make more effective choices moving forward to get back on track and head in a better direction. However, there is an important element that often gets overlooked in the heat of the moment as we are sorting through the damage of a poor decision by someone close to us; The role we played around influence. An important question we need to ask ourselves is, “What could I have done differently?” We all have the ability to influence others. Could the decisions I made and actions I took influenced a more effective choice that would have yielded a better outcome? A genuine self-assessment around this important question and a commitment to improve will help each one of us be more effective in our ability to positively influence others and help others make more effective decisions. In terms of moving forward after someone close to us stumbles, there is one additional step that can influence a better tomorrow. Extend a helping hand to get back on track as opposed to leaving someone alone in the struggle. This is especially important in the home. Extending a helping hand, again, and again, and again, and again to those closest to us will help to build and strengthen our home and set an example of understanding and compassion that is missing many times in sustained family conflict. As we acknowledge our role as influencers and guide our thoughts, decisions, and actions by principles like encouragement, loyalty, and commitment, we will continue to build and strengthen our character and Character Creates Opportunity® to influence others in a positive way and help those around us reach their full potential. Many of our struggles with work, finances, career choices, and even health issues have a natural ebb and flow throughout our journey of life. If we gathered up all the academic research in human psychology, talked to countless numbers of “life-coaching” gurus, and reflected back on our own lives, we would all describe that despite our world growing more complex and intense, the most difficult and lasting struggles are still found in the home. Family conflicts are the most heart-breaking of all of life’s toughest problems. Transition into marriage. “Two become one” is a lot easier said than done. Transition into parenting. Time, effort, commitment, and unconditional love take on a whole new level understanding. Transition for children to adolescence to adulthood. Moving from “being taught” to “choosing to learn” is a responsibility that not everyone wants to accept. Transition of parenting. The parental struggles of purpose and meaning when grown children become exactly what we want them to be, self-sufficient to take on the world. Transition of generations. The grandparent struggle for purpose and meaning when grown children and grandchildren are actively engaged in the building of their own lives. Transition of life & death. The struggle with the loss and the legacy. Probably the most difficult of all transitions in the home is the mental and emotional transition from expectation (or “fairy tale”) to reality. We all grew up with a certain expectation of what family was all about. As adults, we come to realize our reality may not be what we original had planned. As we continue on our journey to build and strengthen our character, handling the many transitions in life provides abundant opportunities to reinforce the importance of principles like commitment, courage and loyalty. Regroup: Whether it is a marriage that has fallen off the tracks or families seeing a lack of care and concern, someone needs the courage to be the catalyst to “gather around the table” and raise the issue. Avoidance is not a healthy option. We don’t need to wait for a brilliant solution to emerge, we just need the courage to start the discussion. Understanding: This time (as we all probably fell short the first go around), genuinely try to understand the other person’s point of view. Too often we are continually angling to have our point of view to “win.” For perhaps the first time ever, focus all effort on trying to understand the other person’s point of view to a level that we can describe it back to them to his/her satisfaction. Then and only then, should we proceed with raising our point of view. It has been my experience, that when I have tried to put this into practice, my supposedly “brilliant” point of view was not even relevant to the real issue at hand. 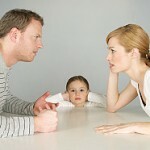 Understanding is the most critical step along the path to resolving family conflict. Try a different approach. Albert Einstein once said, “The problems that exist in the world today cannot be solved by the level of thinking that created them.” We need to come to the reality that the quick fixes that may have worked in the past, are most likely irrelevant today. A new approach, anchored on timeless principles like honesty, loyalty, and commitment, should be our rallying cry. If the three points above don’t work for you and when all else fails, just take the advice of one of my children who has a discerning heart to sense conflict in our home and simply have the courage to say, “I need a hug.” Believe it or not, there is an overwhelming amount of research to show that a physical touch can break down walls of conflict in the home. Even when tensions are high, both sides in the home should find the courage to touch. It has been shown to make all the difference in getting on the right path to healing the wounds suffered during a family conflict. As we develop the courage to regroup, seek understanding and a different approach, we will build and strengthen our character and Character Creates Opportunity® to effectively address the most difficult of all of life’s struggles, family conflicts. We all understand the importance of setting clear goals, both near term and long term, in order to accomplish important objectives in our lives. There is a fairly sizeable body of evidence in both academic circles and practical experience to indicate that we build strength to persevere towards our goals when we can see clearly what we are trying to achieve. As we continue on our own personal journey to build and strengthen our character, there is a common and persistent adversary that we all face in trying to reach our goals and make meaningful progress toward our own personal vision for our life. The common and persistent adversary that comes against each one of us at various points in our journey has numerous descriptions, but it can be summarized as fear, anxiety, and worry. This adversary has the potential to drain that precious energy we need to keep moving forward towards our goals and many times, this adversary can be forceful enough to get us off track and switch our long-term view entirely. We all have various coping mechanisms to deal with fear, anxiety, and worry. Some of us are nail-bitters, some toss and turn through a sleepless night, some repeat simple, routine tasks, some take pills, some overeat, some don’t eat, and some drink alcohol a little more often during the rough times in the journey. Regardless of our coping mechanism, the reality is that we still have that persistent adversary attempting to sabotage our efforts to reach our goals. Acknowledge the Reality. We all face fear, anxiety, and worry. We should possess the courage to call them out directly and not deny their existence. No matter what phase of life we are in and no matter what level of worldly accomplishment or “validation” event we have passed through, we will still face fear, anxiety, and worry as we transition into the next turn in life. Take Action. The best-known antidote to fear, anxiety, and worry is action. When we take small steps toward goals, the adversary loses its grip. Just like the ‘butterflies’ before a big game, after the first play, they are gone and we are focused on the task at hand. The biggest risk we face in dealing with fear, anxiety, and worry is that we don’t get out of bed and get in the game. The simple task of just getting up and facing the challenge is often all we need to do in order to weaken this persistent adversary. Keep the Faith. The very fact that we are still standing is testament to the fact that we have already passed through some difficult challenges in the past. Whether they were in school, in the home, in the workplace or in some other endeavor, we faced this adversary before and we overcame. Whether we describe our faith in terms of a relationship with God who knows the whole story or we have faith in the truth found in principles like perseverance and courage, we should rally our faith to keep moving forward against this persistent adversary. We will continue to face struggles as we journey towards achieving our goals. When we possess the courage to stand up and face fear, worry, and anxiety, we will continue to build and strengthen our character and Character Creates Opportunity® for us to make meaningful progress towards achieving our goals and motivating those around us to overcome their own challenges. 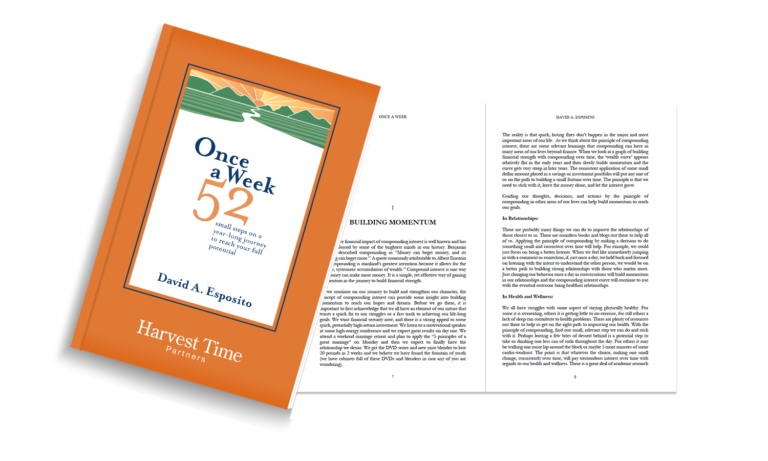 There is a great deal written about, discussed, and testimonies given about the various disappoints, discomforts, and sufferings we endure during our journey of life. Some of these are relatively light-hearted sufferings like a missed plane, a canceled meeting, the consistently late cable-guy, or the important phone call that was dropped while navigating a big city traffic jam. However, many of us would classify some sufferings as almost too much to endure, like the untimely death of a loved one, a parent holding the hand of a terminally ill child, the heartbreaking destruction of a once close family, or the addiction that resulted in a tragic ending. Although we all hope to avoid a great deal of pain and suffering in this world, the reality is that we all will endure our share of suffering. Most of us will find a way to carry-on, some in silence and some with a loud roar. There is no escaping disappoint, discouragement, and suffering. Our typical pathway to addressing suffering is to rally our own strength, perhaps we are fortunate to gain some encouragement from others close to us, and we endure the journey with the hope that we will somehow continue to grow stronger through the experience. As we continue on our journey to build and strengthen our character, it is helpful to highlight another side of suffering. The other side of suffering is an opportunity to grow in empathy towards the suffering of others in order to be a genuine and relevant source of comfort to those in need. When we walk through the valley of suffering, as opposed to growing bitter or spending too much precious energy on the endless wondering of “why me?”, we have an opportunity to deeply understand the suffering of others and proactively reach out to help others find comfort in their own troubled time. There is often no greater connection that can be made with someone suffering through a difficult family experience than one who has also walked through that experience. Those who have endured the financial hardship of a painful bankruptcy are often the most effective in guiding others through the experience of rebuilding their credit and confidence. Who better to support and encourage someone struggling with addiction than someone who has walked down that same road? Make the choice to grow in empathy towards the suffering of others as opposed to growing bitter through our own experience. Act on an opportunity to make a connection with someone who is enduring a similar struggle to our own. Grow stronger, not just by enduring our own struggle, but also by the truth that being a comfort to others in need grows our own capacity to live a more abundant life. As we leverage the experience of our own suffering to help others in need, we build and strengthen our character and Character Creates Opportunity® to have a positive impact in this world.